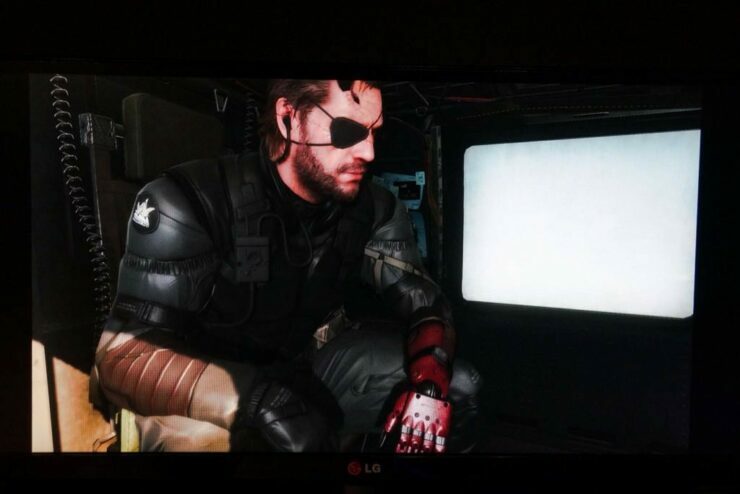 Metal Gear Solid V: The Phantom Pain is an upcoming open world action game to be released in 2015. The Game is under development by Kojima Productions and will be featuring all platforms including Microsoft Windows, PlayStation 3, PlayStation 4, Xbox 360 and the Xbox One. The game will be a sequel to the previous version and will continue from the events in Metal Gear Solid V: Ground Zeroes. 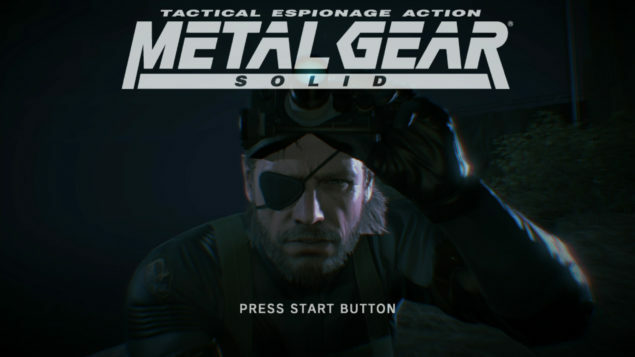 The game is also reported to carry the same tagline of Tactical Espionage operations which were first witnessed in Metal Gear Solid: Peace Walker. The game is set in the year 1984 where the mercenary leader Venom Snake makes his way into Afghanistan after the Soviet War to take revenge of his forces. Kojima has worked hard on this new version of Metal Gear Solid V: The phantom pain and has assured the followers that the game will not be delayed past the year 2015. But that doesn’t mean that he won’t show off with the game as he posted pictures off his own monitor on his twitter page. 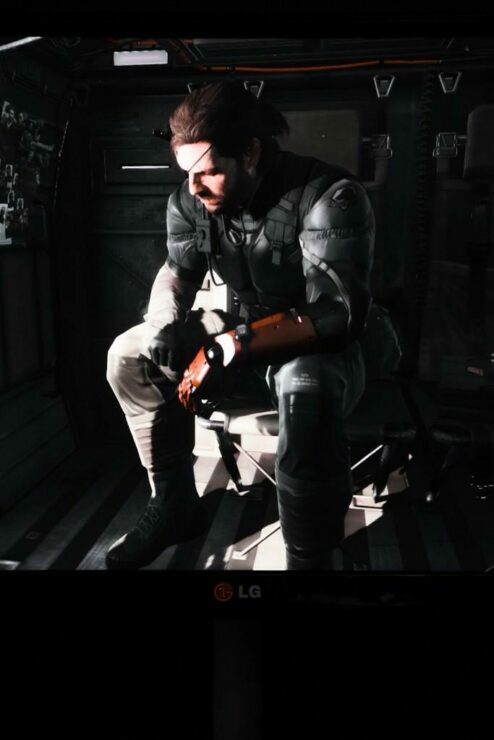 The pictures on his twitter page show a cleaned up version of Snake where he’s in a heli by the looks of it and the pictures are probably of the departure from his base. 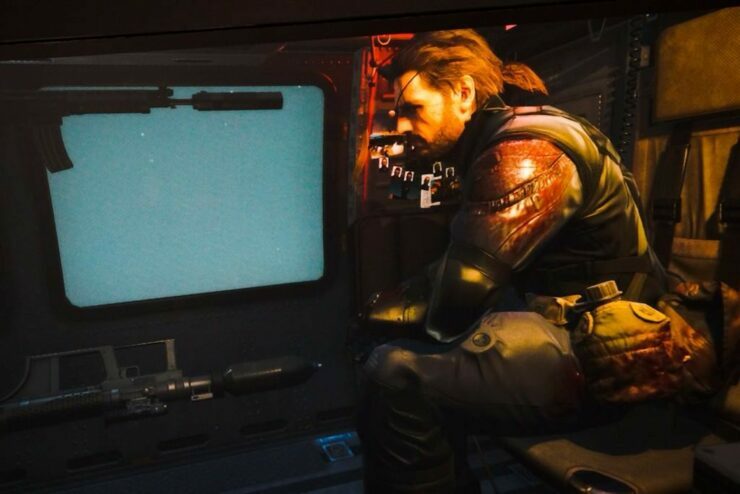 The pictures reveal some really cool tech for the game and also show Snake travelling at night and in day showing a comparison of the different in-game effects added to the upcoming sequel. 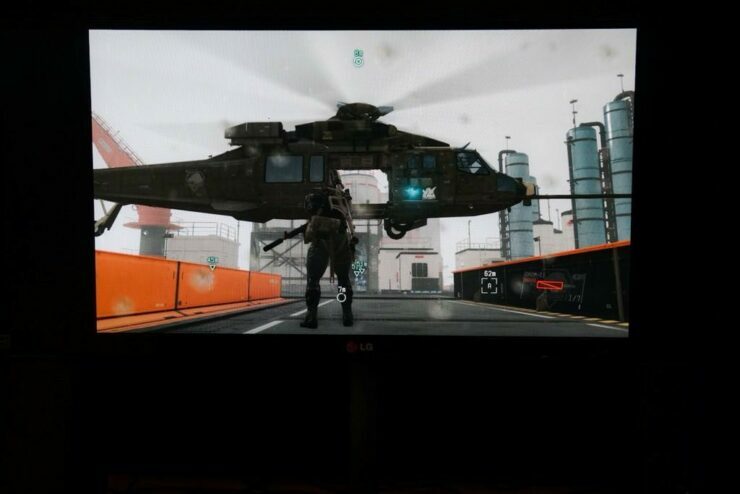 The asthetics of the game are quite different at changed tiings acroos the game and the game has a fresh and warm look at the same time.The second picture shows a helicopter waiting to be boarded in base whereas the rest are pictures shown from the inside of the helicopter. The above screenshots show quite some amazing graphics and make you want to get your hands on the game as soon as it releases. The game looks clean and attractive and I don’t know about you but for many, me included, the game can’t release soon enough. Let us know what you think about these screenshots in the comments section.